Duda рецензии 2019 - Защо 4.6 звезди? Duda is one of our most popular website builders because it provides seamless mobile functionality, impressive insite personalization, a wide array of business-first templates and bettter still, an easy and rich user interface that lets you build gorgeous website with just a few clicks. Today, mobile accounts for over 50 percent of worldwide browsing traffic as more and more people use their smartphones and tablets to go online. For this reason, it is important that your website is optimized for mobile devices. Smart businesses are also delivering personalized experiences tailored to the needs and preferences of their website visitors. In an age of mobile and ever-evolving customer demands, Duda is a fantastic choice for not only building websites with impressive mobile functionality but also for customizing visitors’ experiences based on their browsing history, location and language. If you are looking for a website builder that will give you a real chance at choosing templates that align with your brand, Duda makes for a fantastic pick. Whether you opt for the free plan or choose to upgrade to one of the premium ones for your growing business, the range of features and functionalities that Duda offers make building a professional website a complete breeze. Responsive: Duda templates let you simultaneously see how your final website will look on desktops, smartphones, and tablets. Customizable: With Duda, you can play around with your theme settings, text, colors and navigation to build the kind of website you have always wanted. Business-First: Duda is perfect for the small or medium-sized entrepreneur. 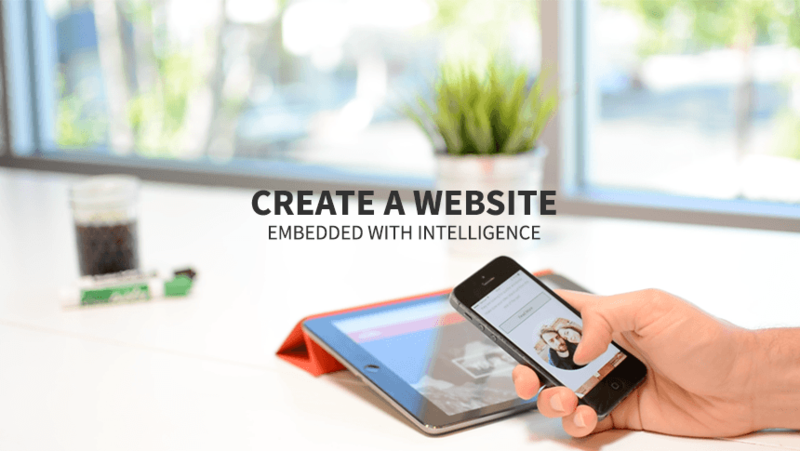 Whether you are a dentist or photographer, personal trainer or restaurateur, all the tools you need to design a great website are at your disposal. What makes Duda especially cool is that all its features are primarily there to help you build a website that truly meets the unique needs of each of your customers. The language feature is one of Duda’s biggest strengths. This SEO-friendly tool not only supports all major languages; it also lets you easily add other less-known languages so you can cater to your customers all over the world. The Website Personalization tool, which is available in the free plan as well, offers a wide variety of customized actions in a way that other site builders are unable to provide. This tool lets you create features that are triggered by certain conditions for example, pop-up messages for first time visitors, triggered videos for repeat customers, special offers for visitors from a certain city etc. The clean and minimalist interface on Duda lets you save your work, undo and redo edits, as well as edit and publish your website with just a few clicks. The editor opens you up to an amazing set of customizing options including color palettes, every possible font, and navigation styles for different mobile devices and for desktop. If you are feeling particularly creative, you can go as far as setting a different color and background image for mobile and desktop. Adding elements to your site for added functionality is also a complete breeze – just click Add Element on the design editor column to open up a Pandora’s Box of beautiful elements that only need to be dragged and dropped to your liking. Duda Guides You Each Step of The Way! Duda has a comprehensive FAQ section, which also includes a couple of videos. Email support is available for premium users. Unfortunately, phone and live chat are unavailable, which is a letdown for such a top-of-the class website builder. For this reason, I rate the support 4.5, but with the exhaustive FAQ section, you shouldn’t have a problem building your website. What is The Cost of a DIY Website? To be sure, Duda does not come cheap compared to other popular website builders. Its services come in three tiers: Free, Business+ and Business+ e-commerce. The free plan is quite generous, allowing you to create an unlimited number of free websites without any bandwidth restrictions. Although you will not have your own domain name with the free account and your website will feature Duda ads, you do get Duda’s website personalization tools and you can sell up to 10 products on your e-commerce site. Upgrading to the Business+ plan lets you access cool features such as custom domains, email support, comprehensive site analytics, access to developer mode, site backups and HTTP security. The Business+ e-commerce plan adds everything you need for a serious online store, including up to 2500 products, unlimited product categories, order and customer management, and product reviews integrated with Facebook. Without a doubt, the few negatives about Duda will not in any way prevent you from easily building beautiful, modern websites whether you are on the free plan or one of the premium ones. If mobile functionality is important to you as a small or medium-sized entrepreneur, Duda will not disappoint. The available site widgets are more than capable of helping you build a responsive website that is navigable on both mobile and desktop devices. In addition to letting you build a multi-language website, Duda also makes it possible to create personalization rules to deliver tailor-made experiences for everyone who visits your website. The business plans are totally worth checking out if you want additional features such as email support, site analytics, and added HTML security – or when your business is so successful that you have outgrown the product limitations of the free plan. Може би се чудите какви са предимствата и недостатъците на Duda в сравнение с други уеб редактори? Въведете който и да е друг уеб редактор и ще направим нагледно сравнение на двата един до друг.